We all hope that this game can be as close the opening fixture between the Gunners and the foxes. Southampton’s record against Swansea has been good as they have won six of their last eight fixtures in the Premier league. Their end to the 2016/17 season was rather depressing as they won only once in their last eight games in the league. They scored only 17 goals at home, one more than the relegated side Sunderland. Virgil Van Dijk will be unavailable amidst the interests from other clubs and also reports suggest that he wants to leave the club with interests from Chelsea and Liverpool. They could play the new signings Mario Lemina and Jan Bednarek. Saints have finished in top eight of the League in each of the last four seasons. Southampton won their previous friendly against Sevilla FC by 2-0 with goals coming from Jack Stephens and Manolo Gabbiadini. Swansea City have failed to score in six of their 10 league games against the Saints. They last won away at Saints back in 2015. Their midfielder Gylfi Sigurdsson who’s future at the club is hanging in the balance will be unavailable for the game. Their ending of the 2016/17 season was very positive as they won four games and drew one out of the last five games. Swansea played against Sampdoria in their final friendly and won the game by 4-0 with goals coming from Fer, Alvarez, Abraham and Fernandez. 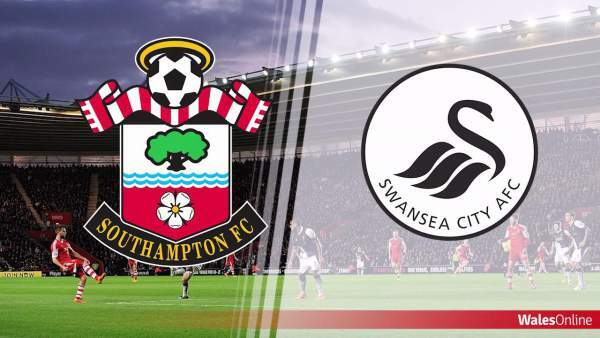 Come back for Southampton vs Swansea City Live Streaming, live epl scores, commentary updates, match result, video highlights, scorecard, and much more. Let’s know your thoughts and views via comments. Don’t forget to share the articles on social media like facebook, twitter, google plus, etc.